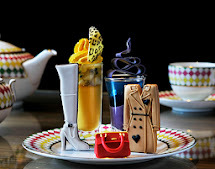 For those of you that are perhaps less familiar with our blog, Chelsie and I are on a quest to share with you all the very best locations around the world to indulge in a spot of delicious afternoon tea. This quest led us to the beautiful Scandinavian city of Oslo in Norway for a weekend away at the sensational Grand Hotel. The Grand Hotel is impossible to miss standing elegantly and impressively in the heart of Oslo’s most opulent street, Karl Johan’s gate. From the moment this hotel opened its doors to guests in 1874 it has been synonymous with undeniable luxury and the highest quality around. In accordance with this, it is no surprise that when the Nobel Peace Prize is presented in Oslo, that the laureates, celebrities and heads of state all check into the Grand Hotel. It seemed clear to us when building our list of worldwide locations that the Grand Hotel needed to be included for its sensational Norwegian afternoon tea. Afternoon tea is served in the beautiful Palmen (Palm Court Restaurant), and on first impression you could easily imagine this room being from one of ‘The Great Gatsby’s’ glamorous scenes with its stunning glass dome allowing an airy atmosphere and natural sunlight to pour in. This beautiful setting is further enhanced by a rich colour scheme of purple, green and silver throughout ensuring that you felt instantly relaxed in the most exquisite surroundings. On entering Palmen we were warmly greeted by our waiter who led us to our grand booth. The booth was deep and inviting with delicate cushions for support, whilst our marble table was perfectly presented with white Wedgewood chinaware. From the onset our waiter was polite and attentive creating a ‘home from home feel’ by enquiring how our day was, and if we would like a glass of still or sparkling water to sip on whilst we pondered over the fabulous menu merrily absorbing our surroundings. Our afternoon tea began with the integral tea selection. The Grand Hotel offers a vast collection of both black and green teas but unfortunately these are not listed on the menu. 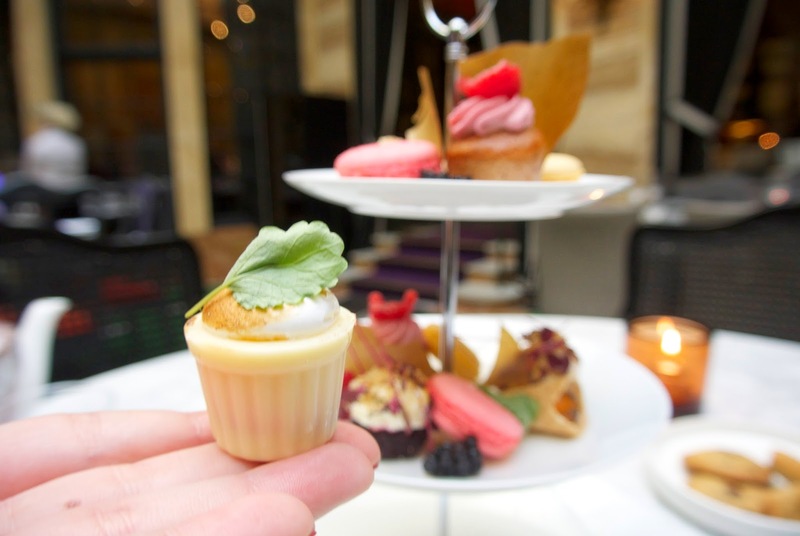 Adding a more personal touch to your afternoon tea, the Grand Hotel has a tea expert on hand to help guide you through your selection process whilst providing you with information on the recommended brewing time, and origins of the tea available. Chelsie and I were advised that the following teas are very popular amongst guests: Sencha Green from Japan, Mao Feng Green from China, Peppermint and Lavender black currant. Deviating from the recommendations and feeling somewhat adventurous Chelsie selected ‘lady grey’ which had a light and flowery body whilst I selected Mao Feng Green from the list of recommendations that had a very intense, rich body. Our tea was served in a beautifully decorated pink and white teapot with a matching cup and saucer, which throughout the afternoon tea was regularly topped up with a freshly brewed complimentary pot of tea and if required lemon, milk or honey to accompany our choices. The Grand Hotel’s Norwegian afternoon tea arrived on a simple yet faultless white three tiered stand. Chelsie and I were bedazzled by the stunning display of sweet treats and savoury items on display, the sensational colours and enticing aromas ensured us that this would not only be a glamorous affair but also so very delicious. Our eyes widened further when our waiter returned again with a matching white plate of delicate, warm freshly baked chocolate and ligonberry scones accompanied by two little pots of orange and raspberry Bonne Maman jam. Our waiter talked us through the variety within the three tiers of the stand, explaining how each item within the afternoon tea is intimately linked to Scandinavian cuisine from the freshly caught fish to the popular ligonberries within the scones. We were also given suitable time to ask any additional questions we had concerning our afternoon tea. 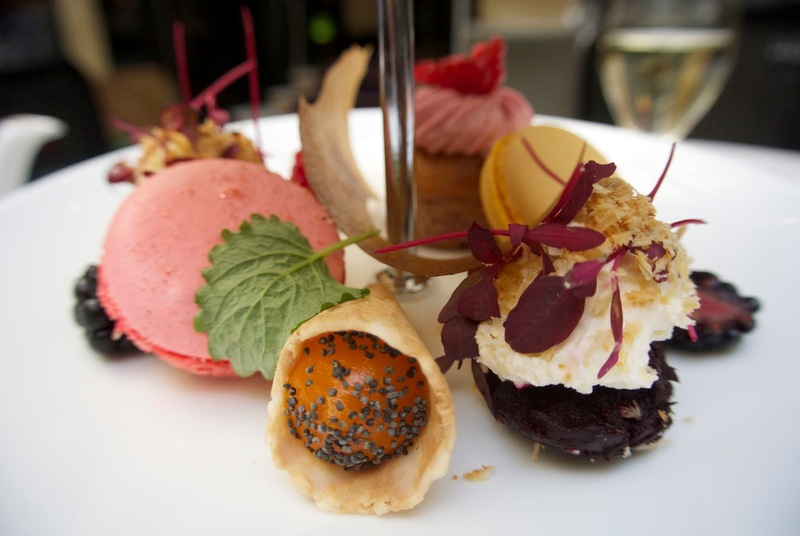 We believe it is worth us mentioning that the Grand Hotel covers all dietary concerns to ensure that each and every guest can enjoy their afternoon tea but they do require twenty four hours notice. Both the savoury selection and sweet selection were comprised of two of the following: cucumber and apple sandwich on moulted granary bread, onion and feta cheese pie, blini with ‘romme’ and lumpfish roe, smoked salmon and cream cheese sandwich on moulted granary bread, goats milk cheese and black trumpet mushrooms in a cone and finally ‘fenalar’ (lamb) and apple gel in a cone. 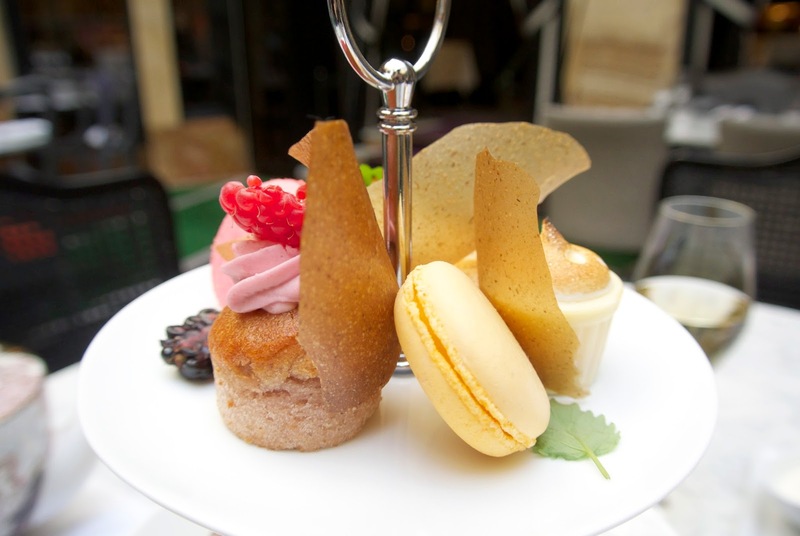 The sweet selection contained the following: raspberry muffins, lemon meringue cupcakes, chocolate cookies, juniper financier, strawberry, orange and vanilla macaron and a cone with white chocolate and sea buckthorne berries. As to be expected from such a diverse selection Chelsie and I were taken on a taste whirlwind from the crunchy fresh apple with cucumber sandwich to the delicate and dreamy orange macaroon. Our favourite items within this afternoon tea were the beetroot with smoked mackerel, romme and hazelnut, white chocolate and sea buckthorne berries and novel chocolate cookies. However, our ultimate favourite within this afternoon tea was the chocolate and lingonberry scones. The oozing chocolate from the scones perfectly complements the contrasting sour lingonberry, resulting in you wanting just one more! 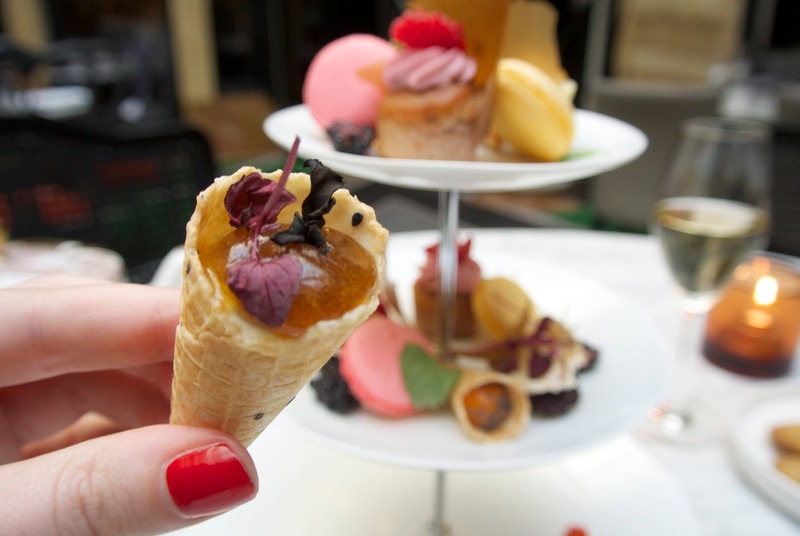 We can assure you that when you are sipping on your tea, enjoying some of the finest food Oslo has to offer in the splendour of Palmen it is difficult to imagine a better way to indulge. 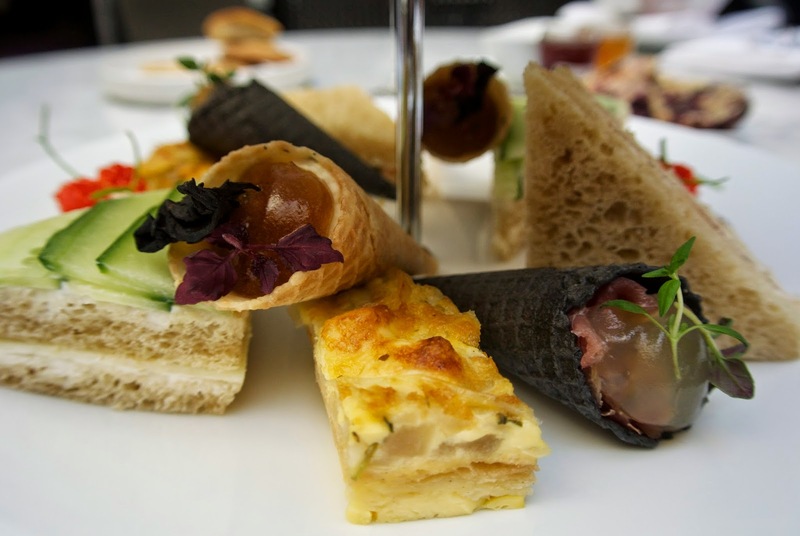 Price: Afternoon Tea including 1 glass of Ruinart Champagne, NOK 395,- pp / excluding Champagne NOK 295,- pp (minimum 2 people).